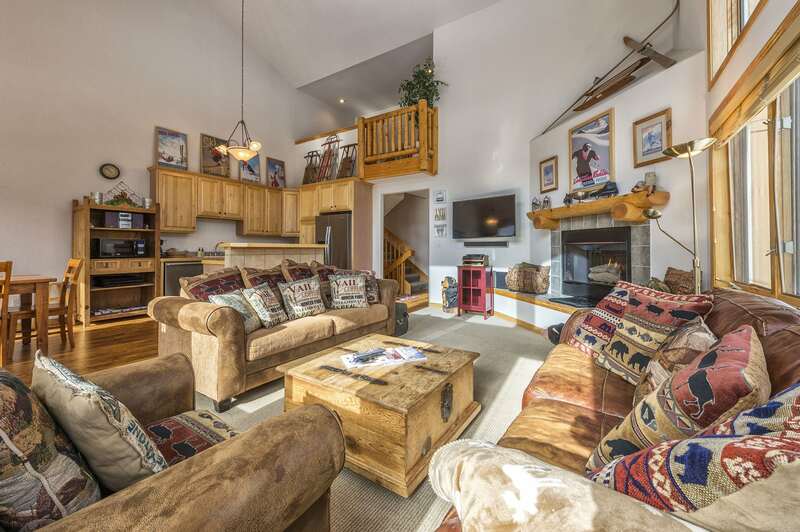 The Retreat duplex house in the ski area. 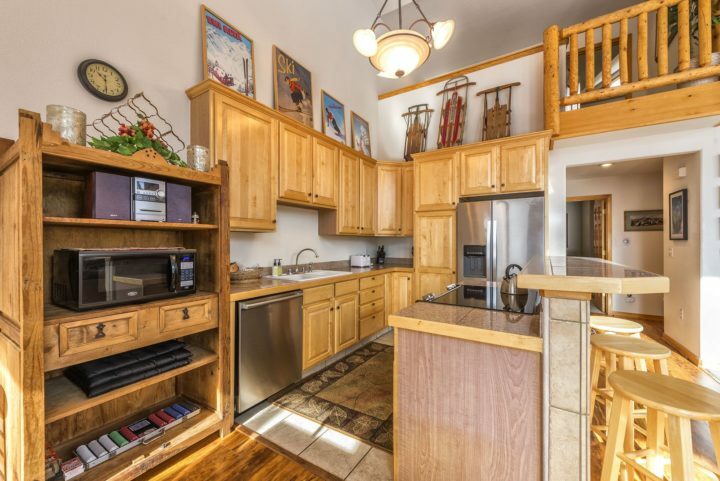 Two 4BR/3 Bath units connected by an inside door. 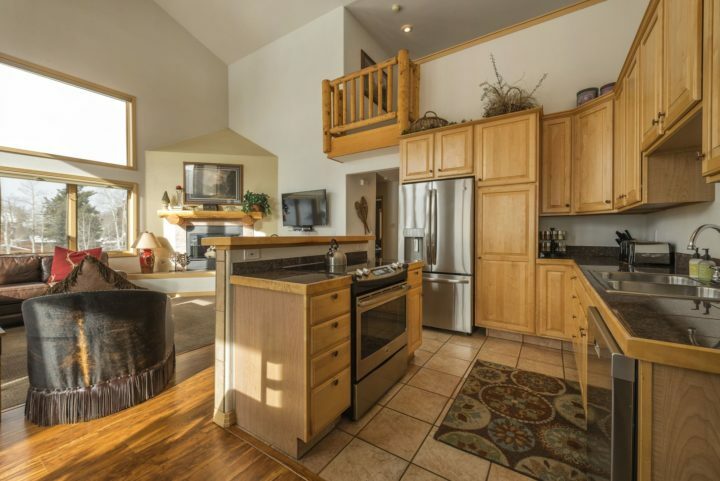 The Retreat (two 4BR/3 Bath duplex units connected by an inside door). Mile-wide view of the ski runs (day & night). 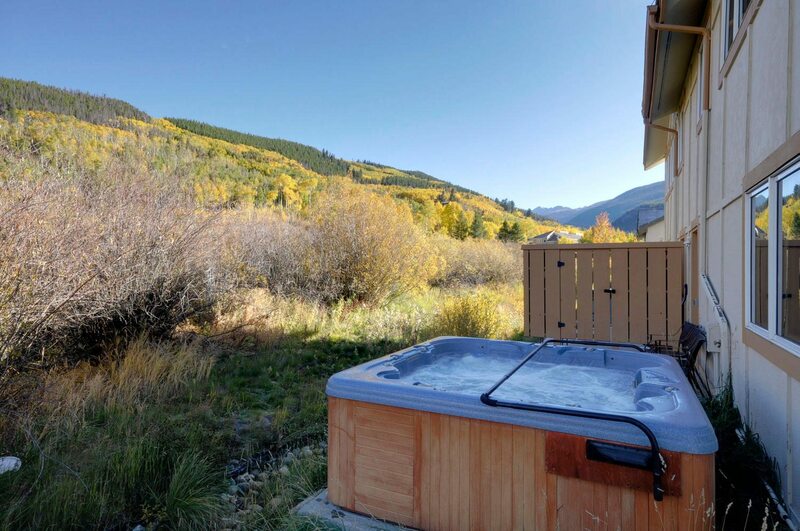 Private hot tub for Unit 180 (each side of the duplex house has its own hot tub). 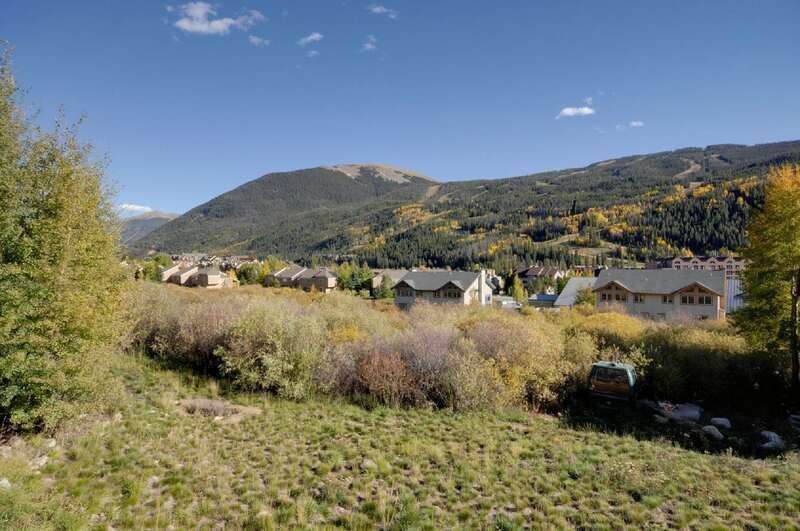 View is of protected evergreen area. 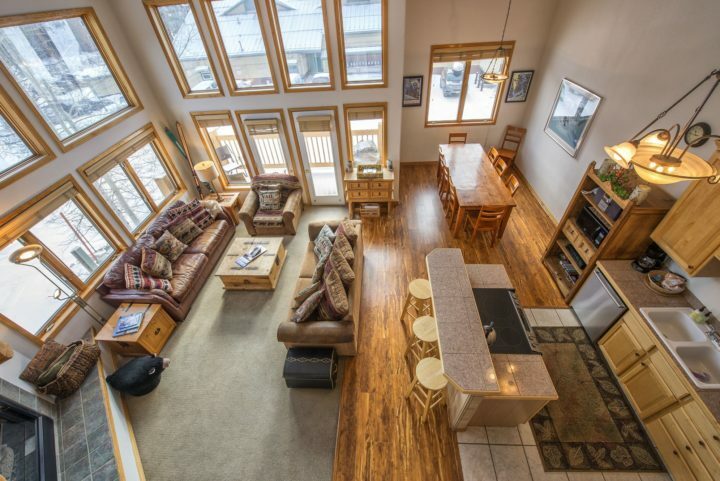 Great Room of Unit 180 (east side of the duplex house). 2-story windows facing the ski runs. 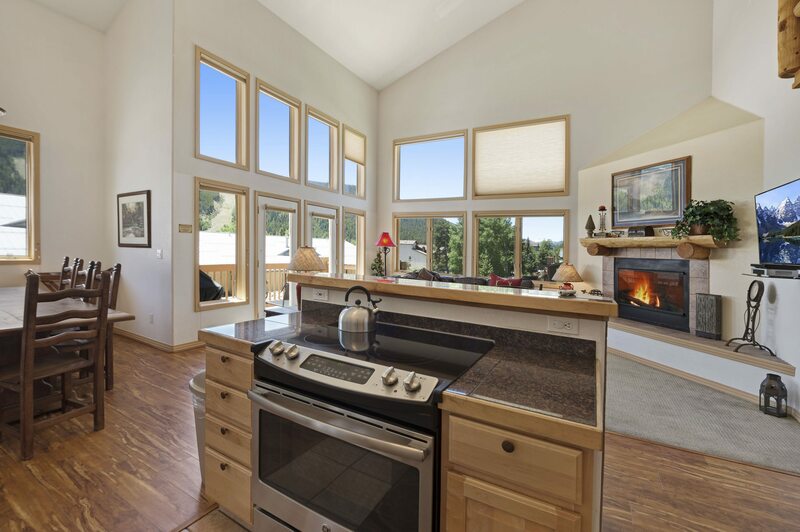 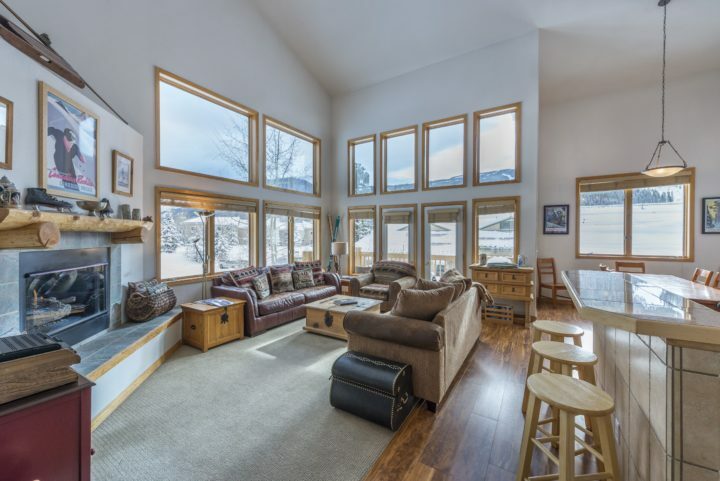 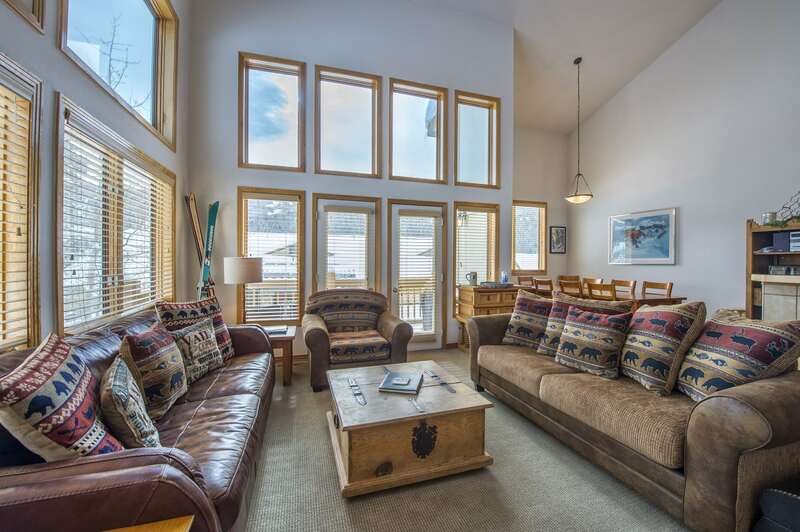 Unit 180: Great Room area has patio door leading to private deck facing south toward the ski runs. 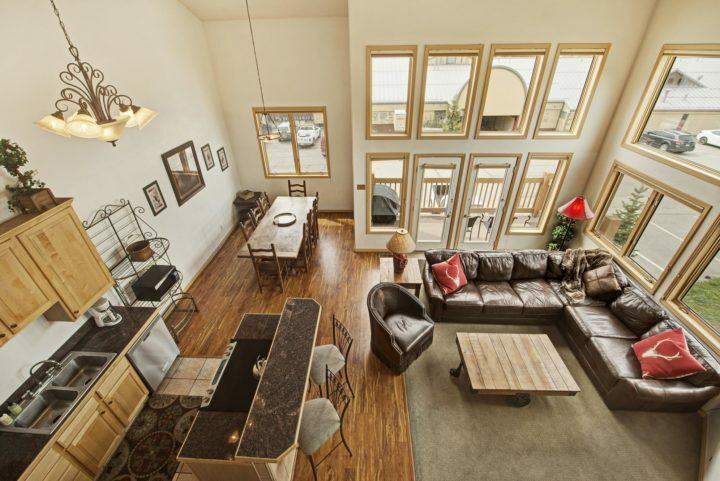 Unit 180--Great Room area. 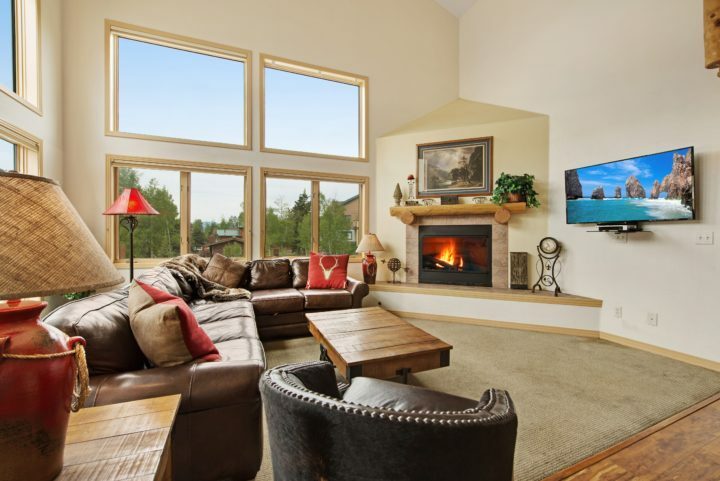 Big flat screen TV, fireplace; & Queen foldout sofa. Unit 180--Living room has 55" TV, fireplace, and Queen fold out. 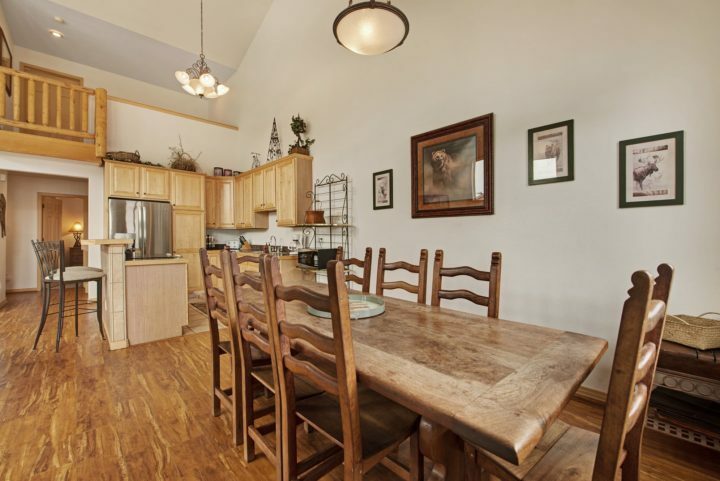 Unit 180 Seats 12 for meals (9 at dining table; 3 at kitchen eating bar). Everything for dining table is included. 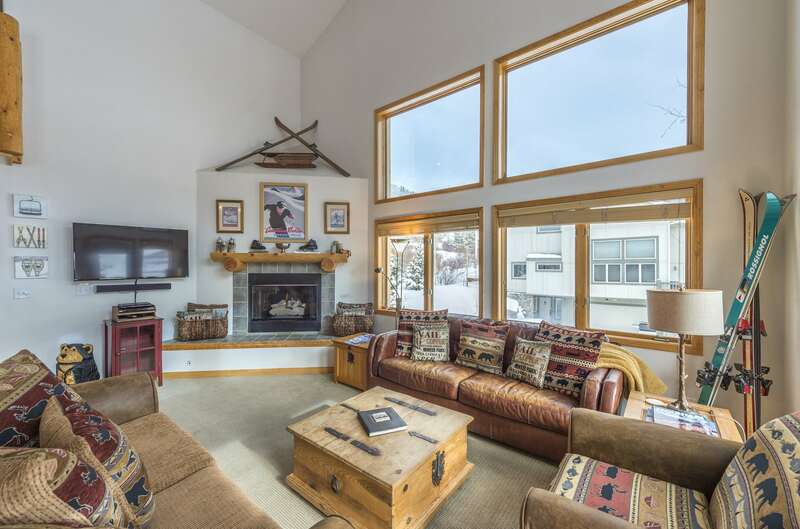 Wide angle shot showing 2.5 story living room ceiling. BOTH duplex kitchens have new stainless steel appliances. 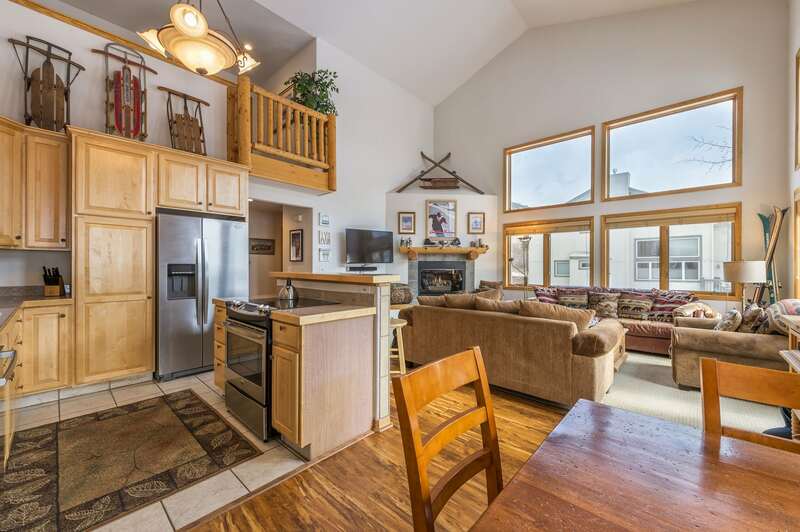 Great Room floor plan in Unit 180 4BR/3 Bath side of the 8BR duplex house. Unit 180: Bedroom 1 (King bed, TV2, exceptional greenbelt view, and private bath. 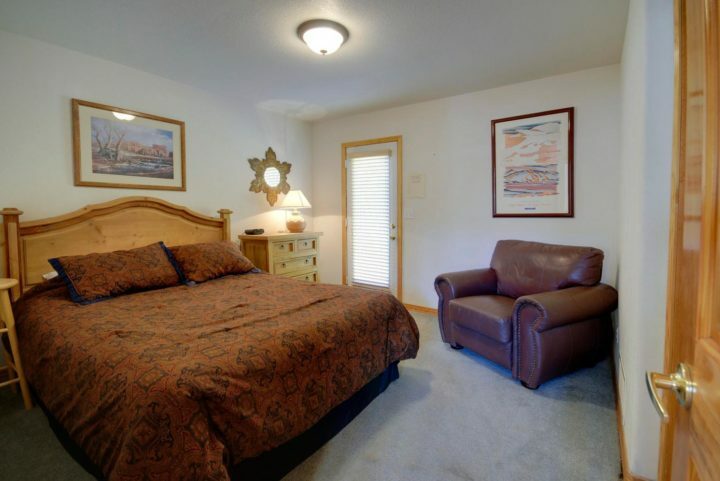 Unit 180: Bedroom 4 (Double + Twin beds; private bath; 3rd flat screen TV on wall. Unit 190 Great Room (west side of the duplex house). 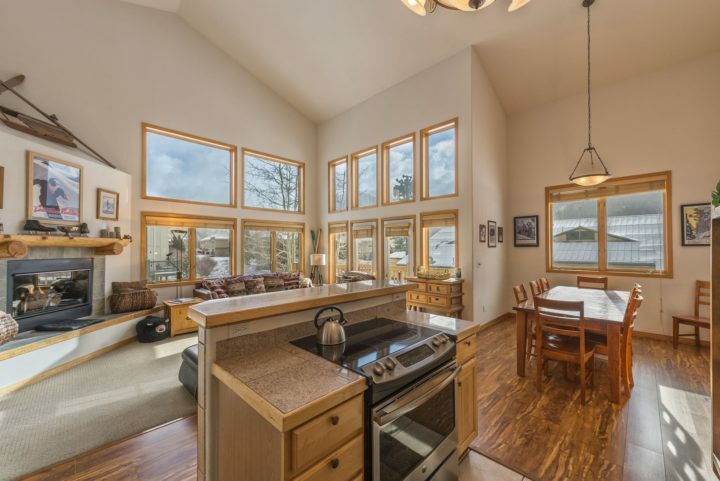 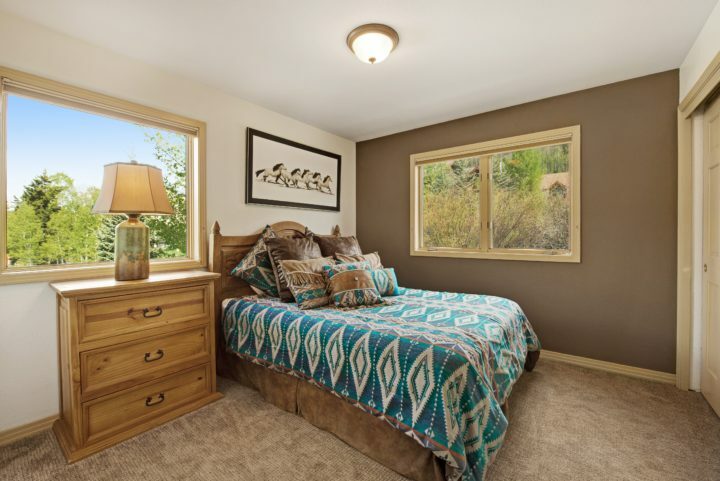 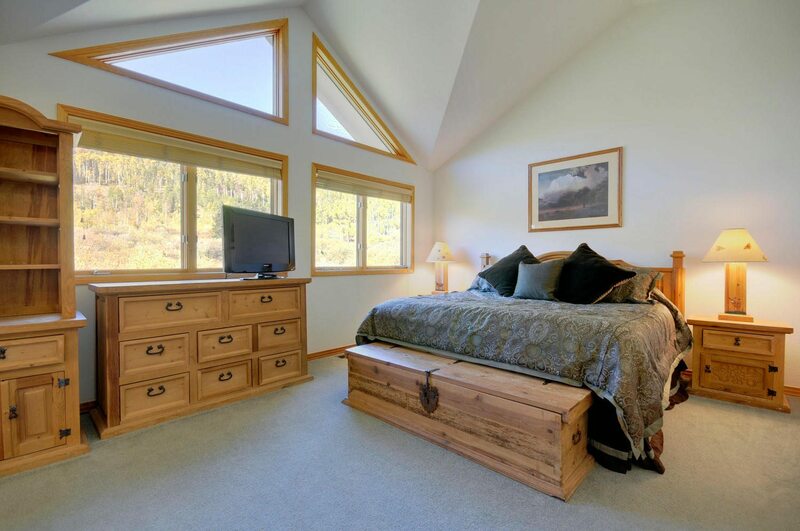 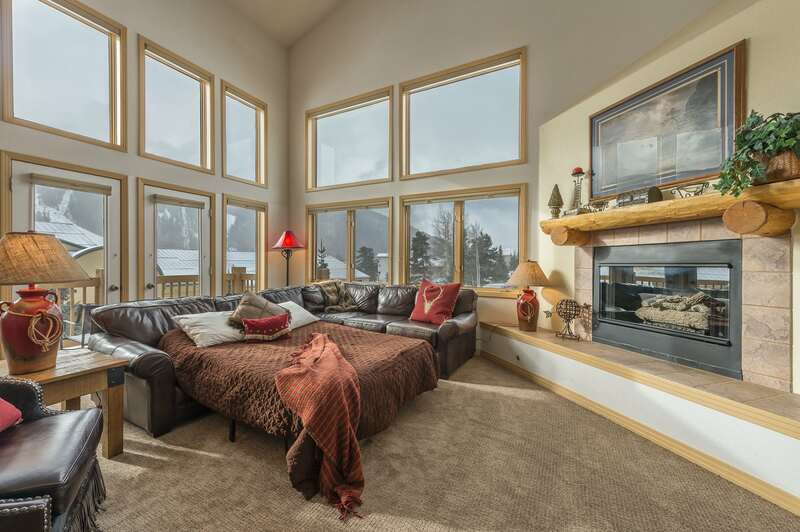 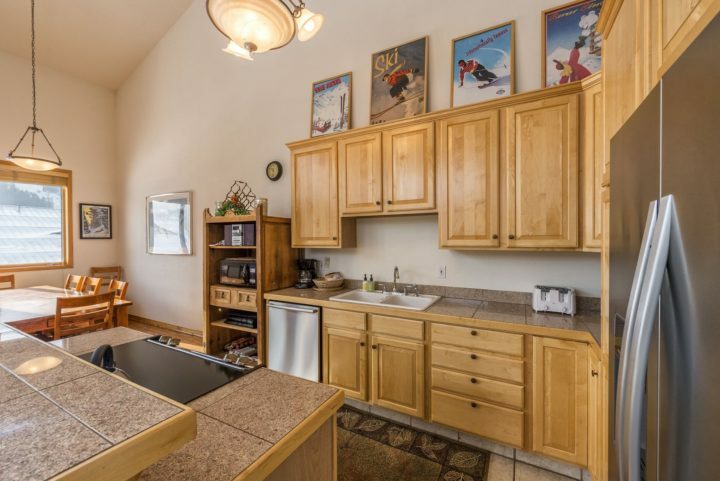 This 2nd 4BR unit also has 2-story windows facing the ski runs. 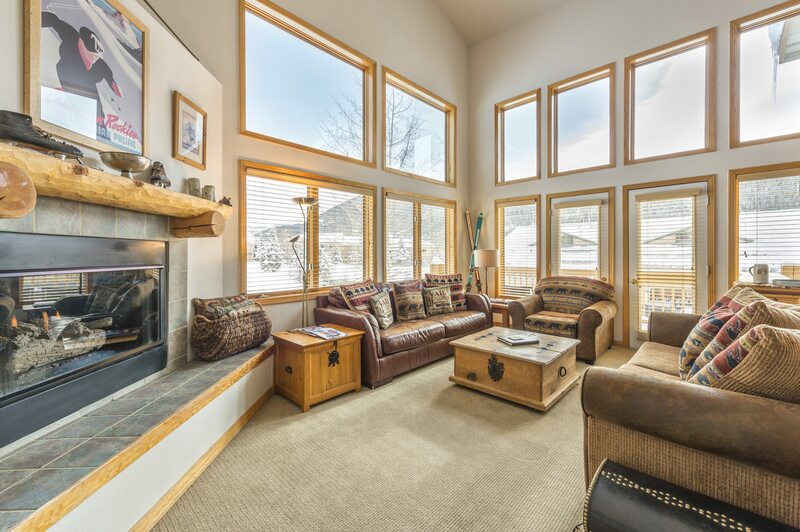 Unit 190 living room has big view windows. All windows in house have honeycomb privacy BLINDS. 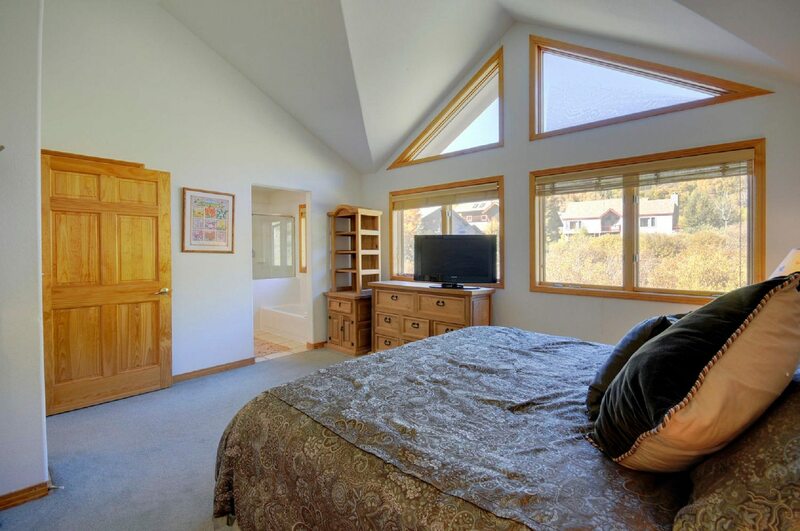 Upper window honeycomb blinds can be raised or lowered by remote control. 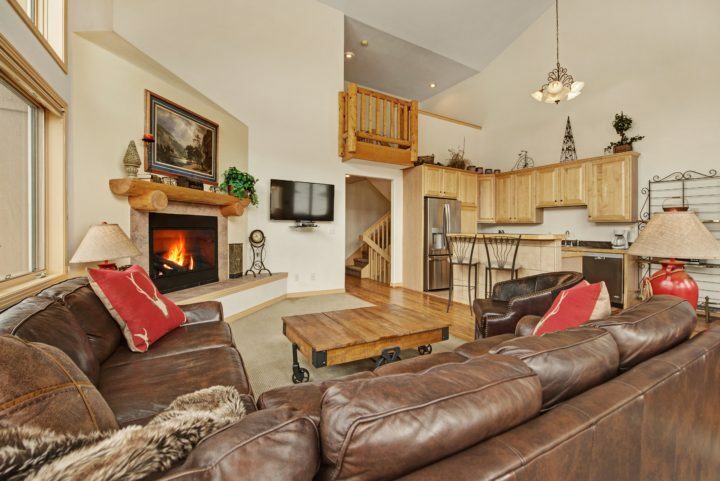 Unit 190 Living room has fireplace, Queen fold out, new flat screen TV, & private deck. 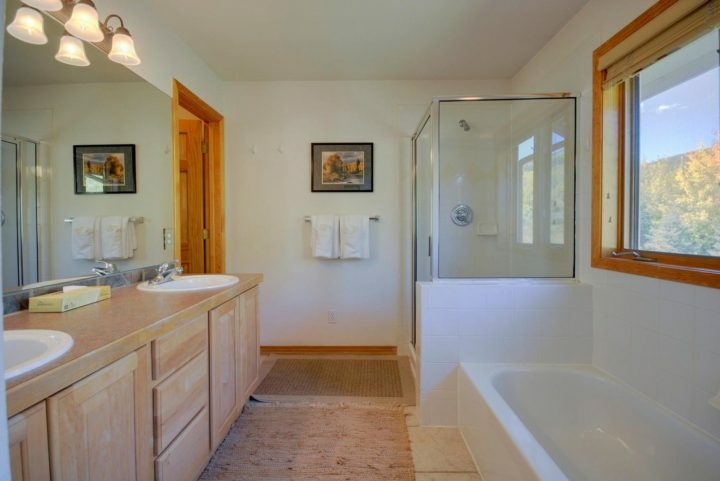 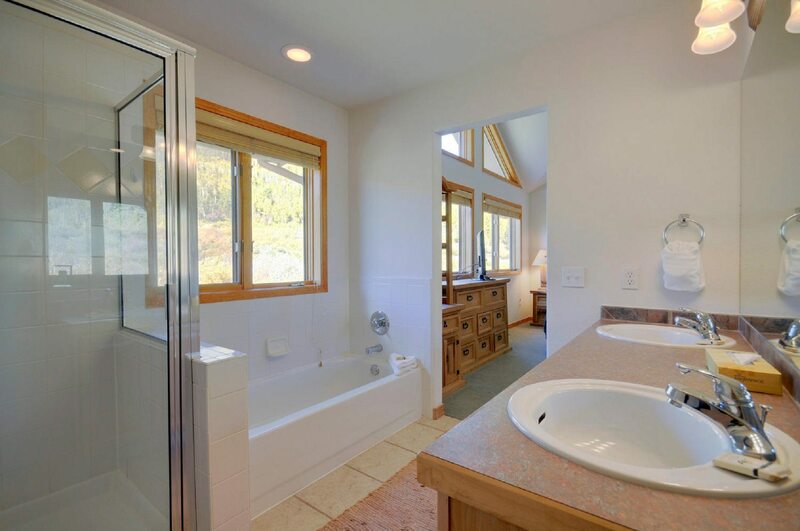 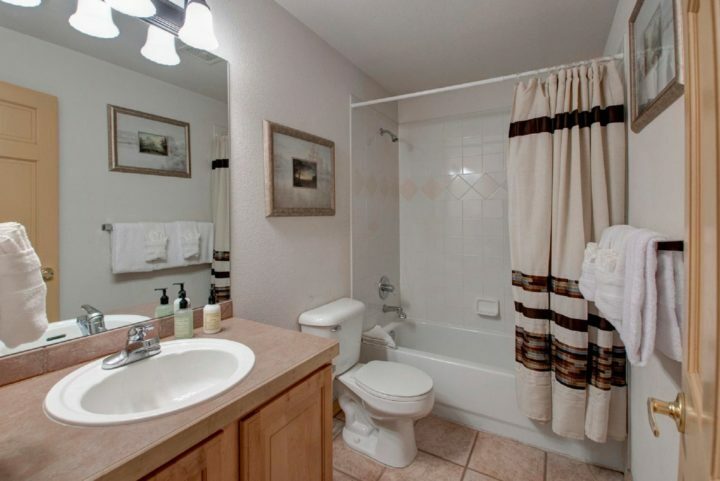 Unit 190: Private bath for BR1 (double sinks, tub, and glass walk-in shower). Greenbelt/forest view. 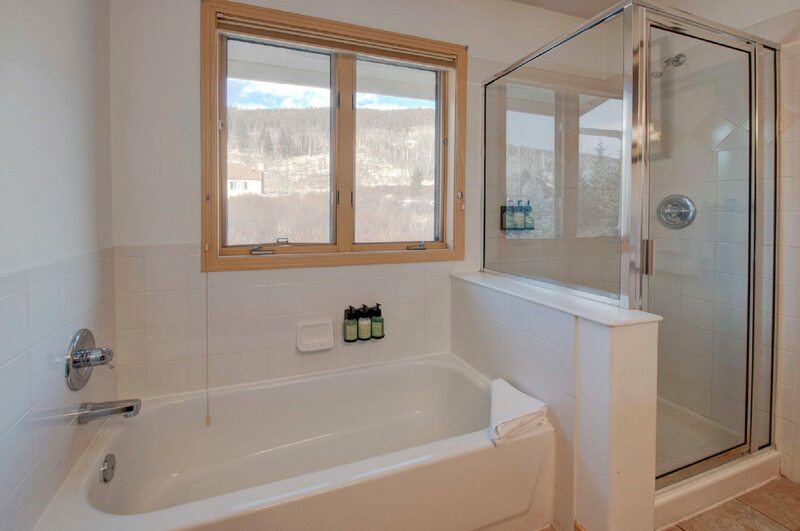 Unit 190: Private bath for Bedroom 1. 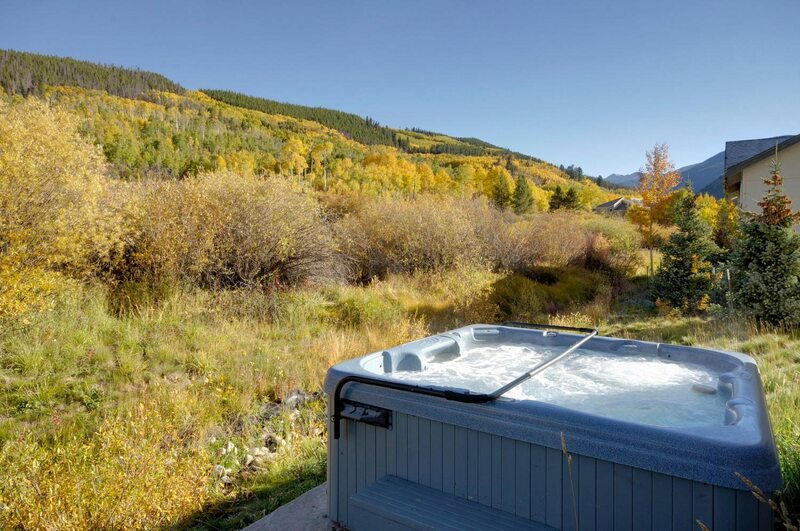 Greenbelt view. 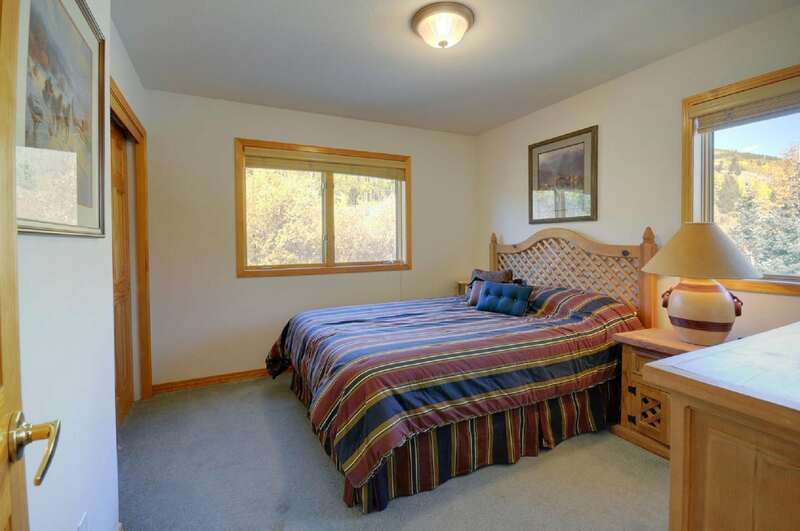 8BR/6 Bath home (sleeps 24). 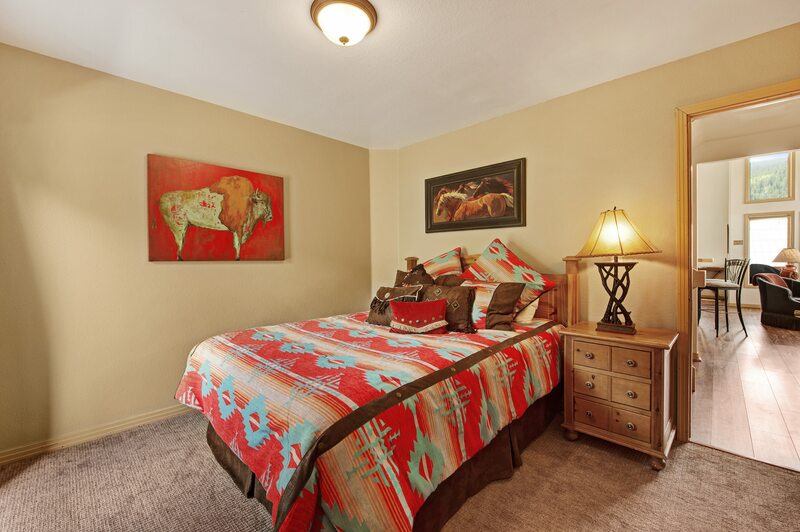 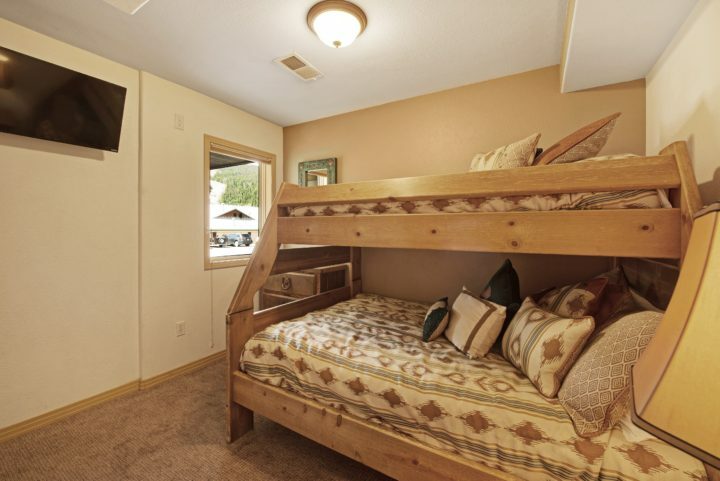 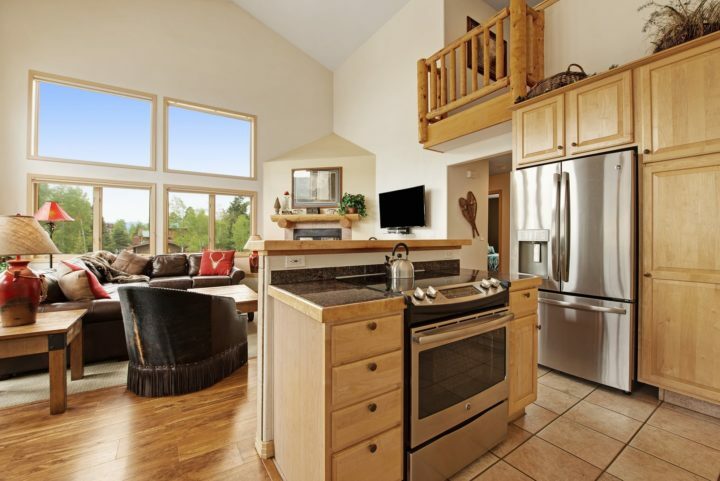 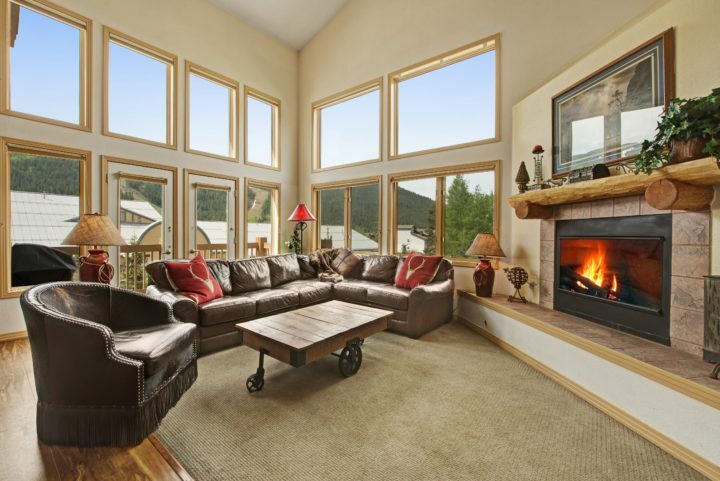 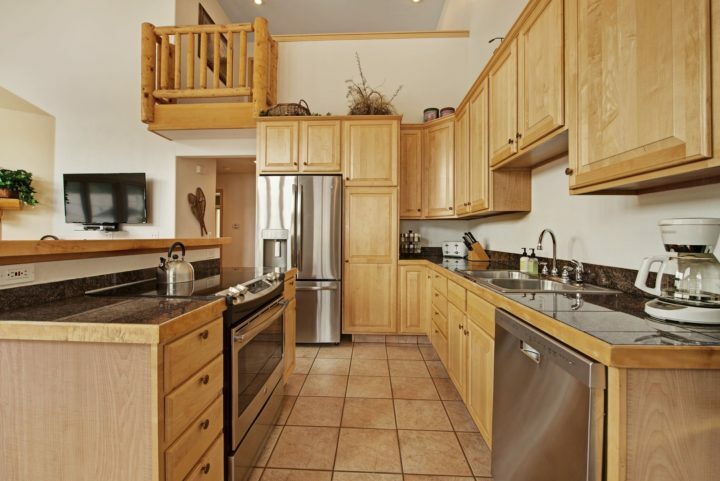 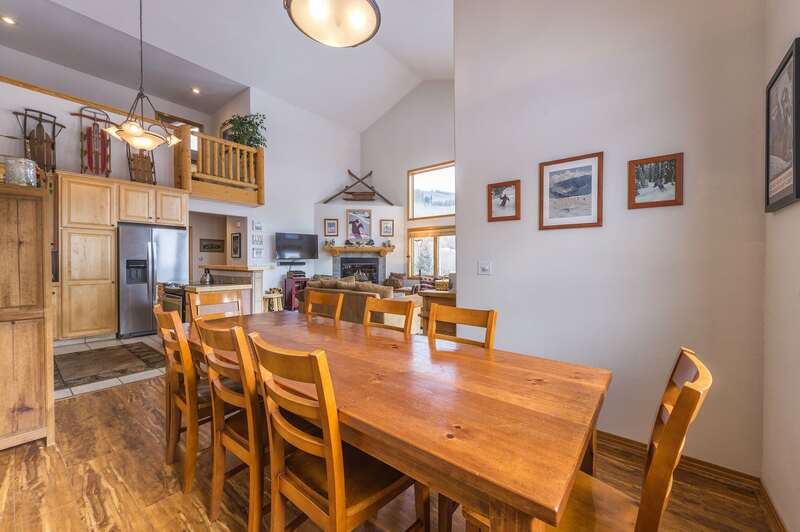 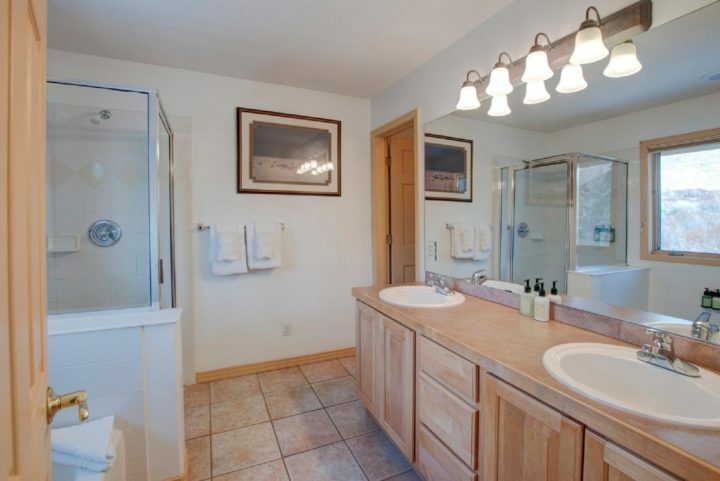 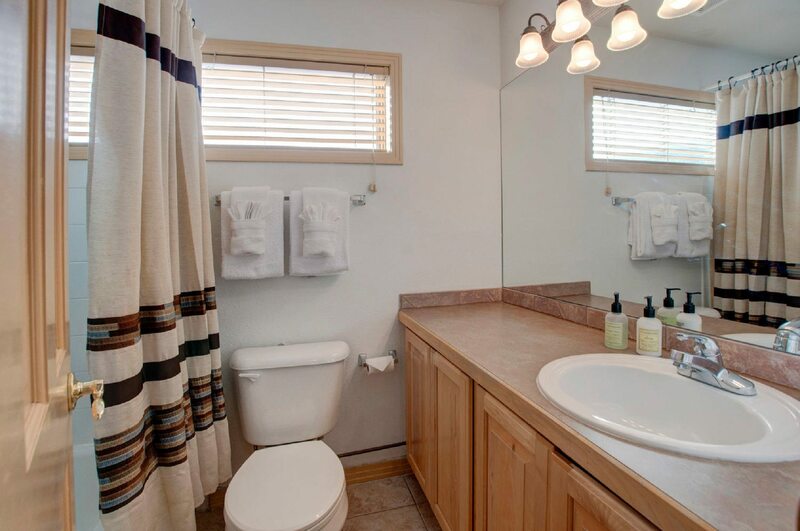 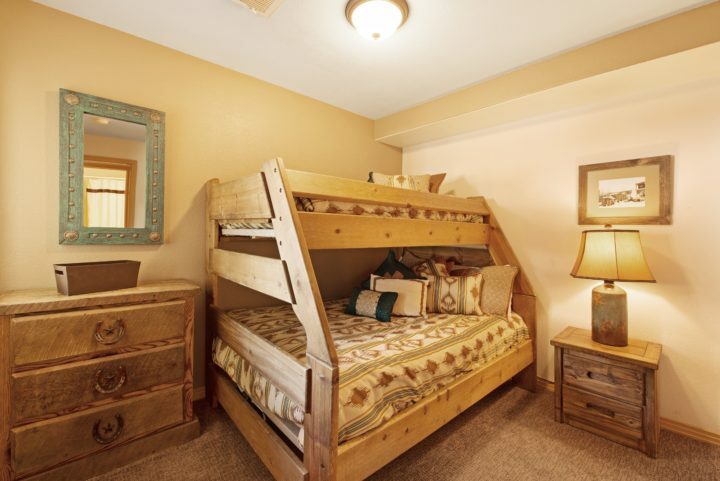 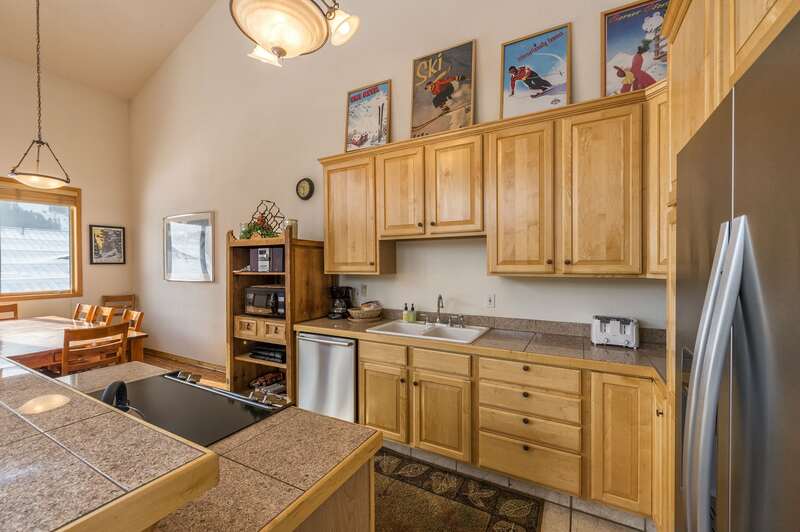 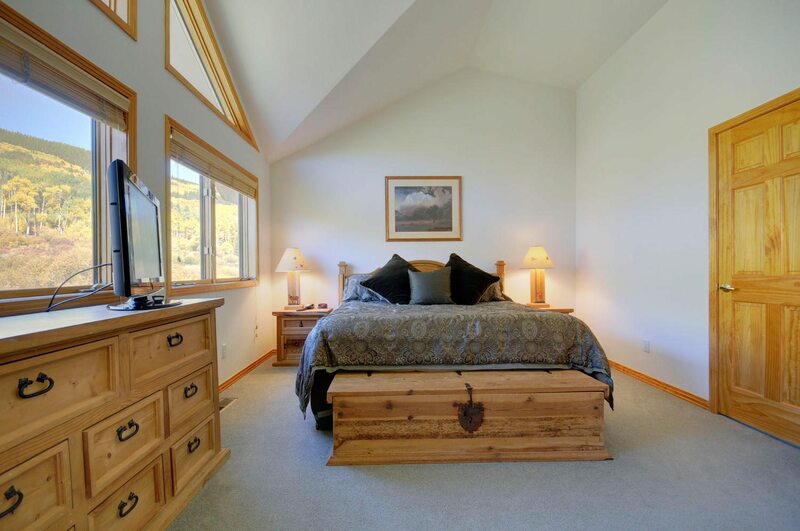 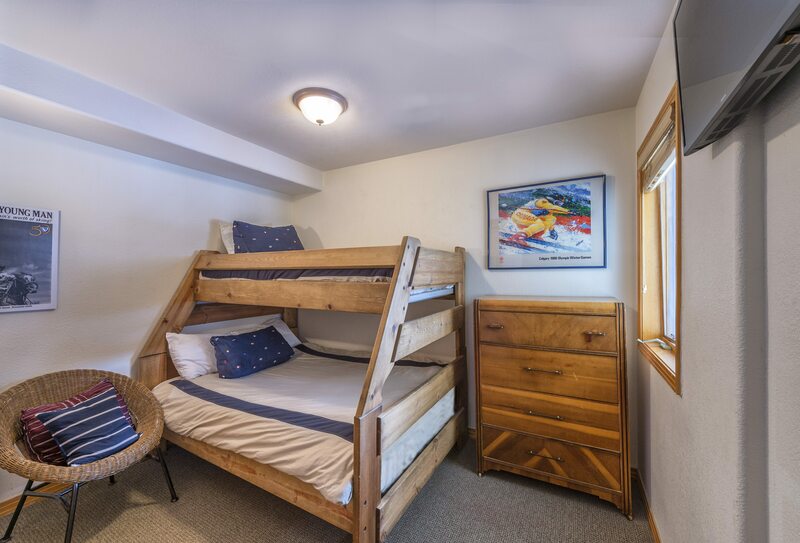 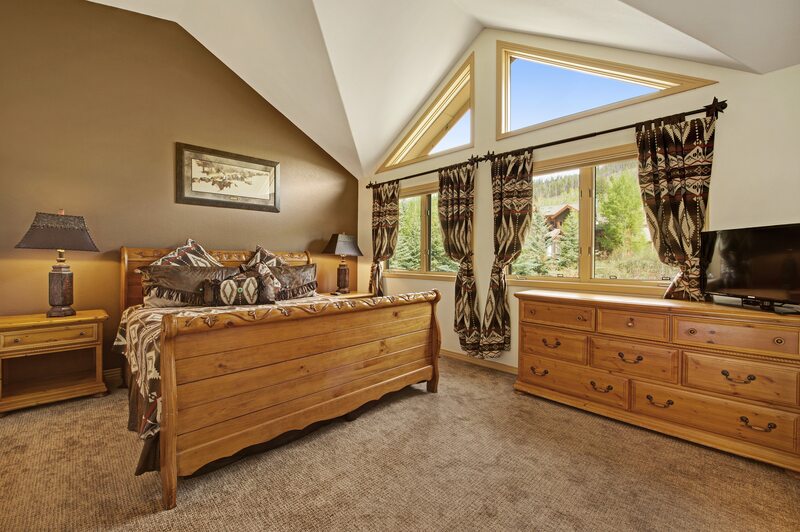 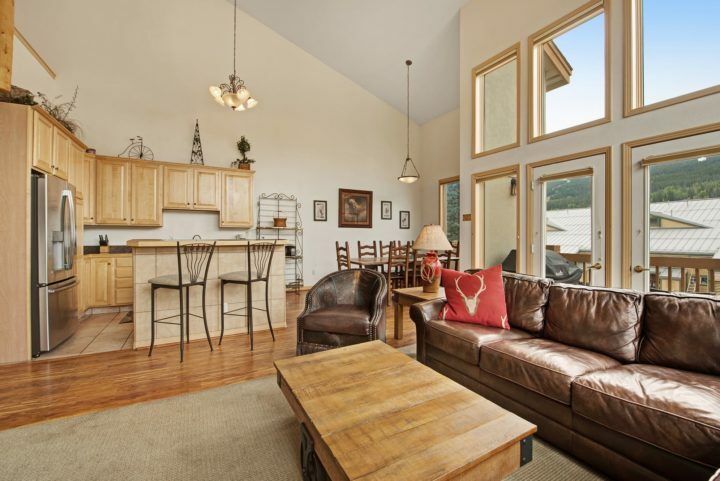 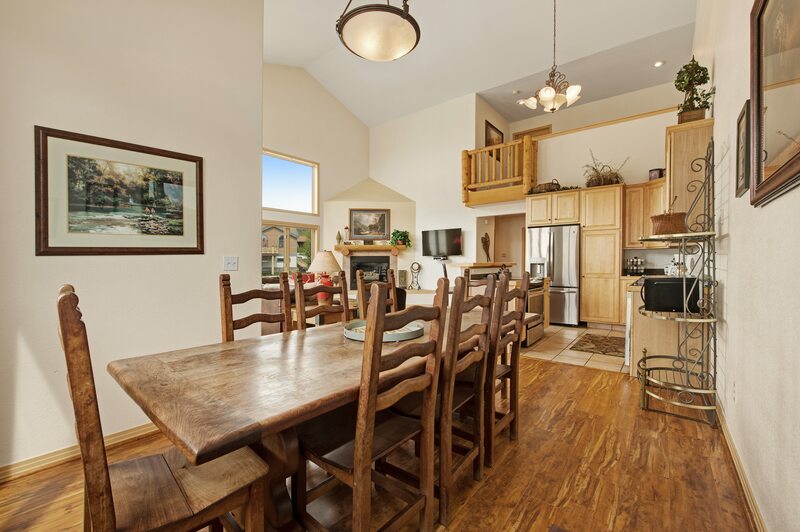 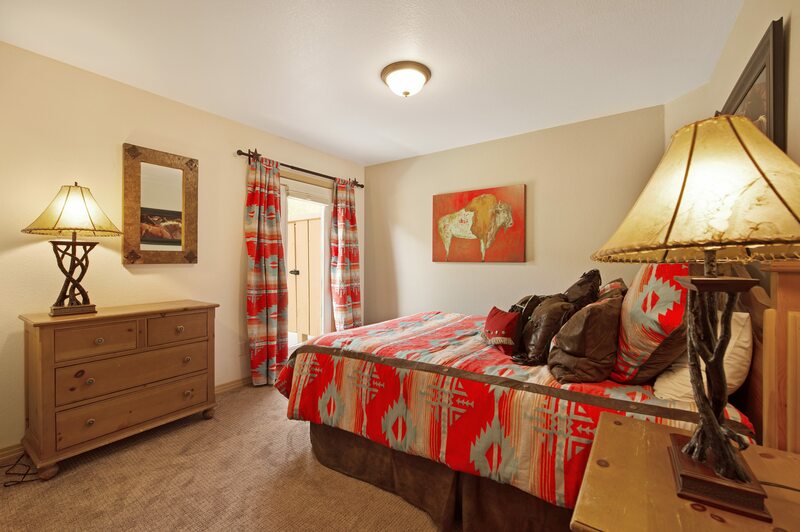 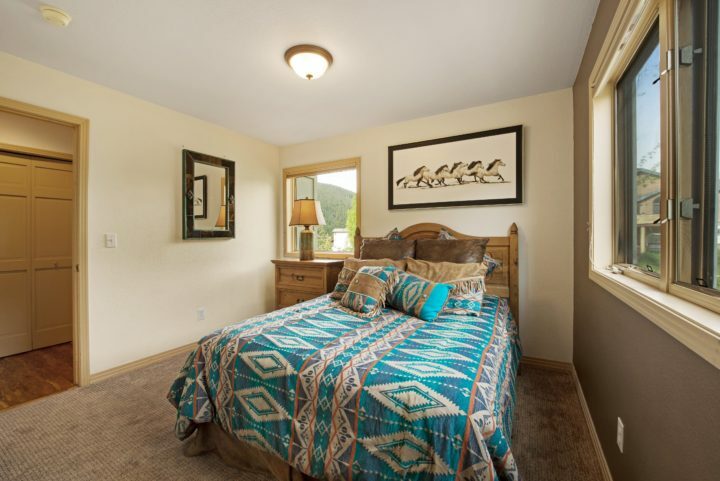 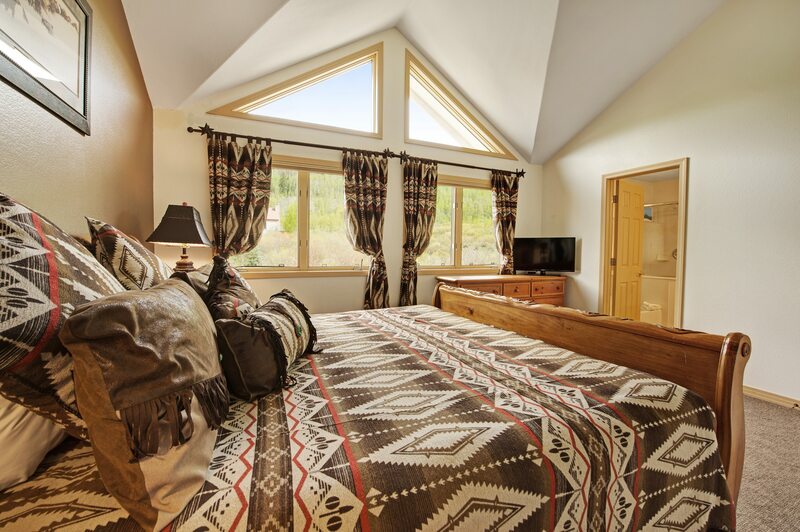 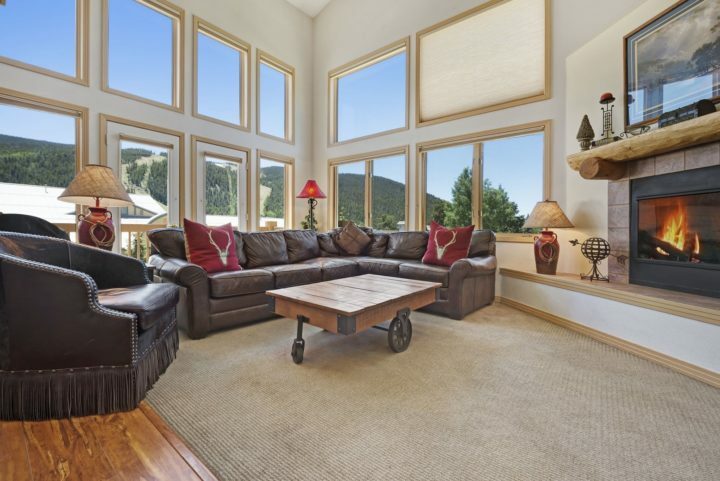 Two side-by-side 4BR/3 Bath duplex units (each sleeps 12) in the Keystone Ski Area. Rent separately (see #12A 4BR and #12B 4BR) or together (#12C 8BR/6 Bath–the entire house). 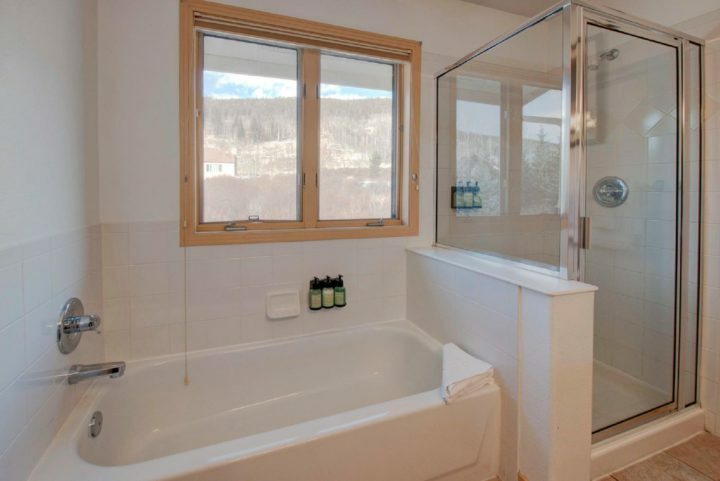 The two units are connected with an inside door (that will be unlocked if both units are rented together). Walk to the Mountain House lifts, 7 restaurants, night life (3 night spots with live music), and an internet/sports cafe (12 HDTV’s + video game area). Each 4BR unit has a separate private hot tub, 2-car private garage, and two-story living room with two walls of high windows. 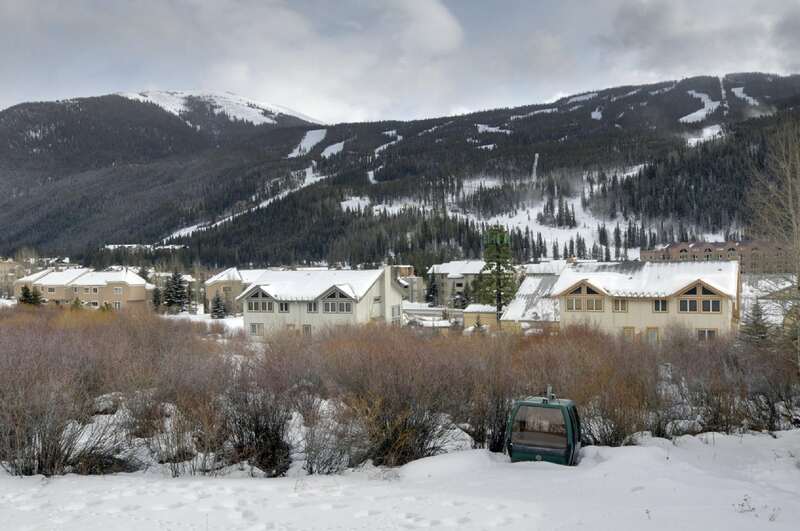 Panoramic views of the top half of the Keystone Mountain ski runs. 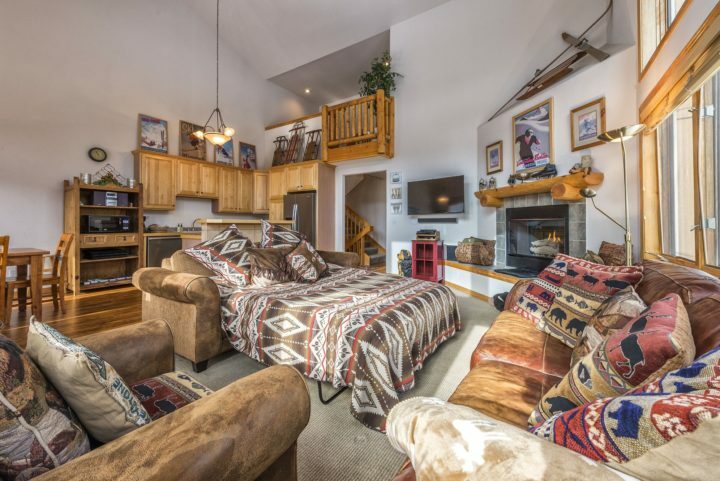 Ideal property for those who want to be in the ski area near everything and still have more privacy than several condos.